Today when we have joined North-Atlantic Organization, many in Croatia are taking credit for this success saying how this is a result of their hard work. In my book â€śAmerican dream â€“ a guy from Croatiaâ€ť it is clearly stated how the Croatian journey to join NATO has started and who promoted and initiated the idea of Croatia joining the Alliance. Knowing how important it was for Croatia to join the â€śPartnership for peaceâ€ť program, already in 1996 I actively worked on starting cooperation between Minnesota National Guard and Croatian Army which I successfully concluded. The same year I have organized visit of generals Andreotti, LeBlanc and other officers of Minnesota National Guard to Croatian Army. This visit promoted further cooperation and training programs of Croatian officers in Minnesota. Among others, it was my pleasure to host general Gotovina during his visit to Minnesota. Our main goal is not Croatiaâ€™s dominant military position in the region, but creation of balance with Serbia and Russia, and US can help us at that, being the major military force in the world. Cooperation with Minnesota National Guard has its tactical nature including engineering projects, bridge building, communications, logistic, military medicine etc. This cooperation is considered as a first step towards strategic cooperation, meaning Croatia joining the NATO.Â Cooperation between Minnesota National Guard and Croatian Army was very successful, it is still ongoing and became a model for other countries candidates for NATO. Many friendships, even Croatian-American marriages were created during this time, which only contributes more to the better bonding and success of the future joint projects. 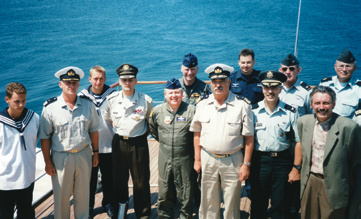 General Andreotti and Minnesota National Guard officers in their first visit to Croatia, 1996. I have been working on behalf of my homeland for a decade as Honorary Consul General in Minnesota, a position bestowed upon me on July 4th, 1995 by president Tudjman for my humanitarian and otherwise assistance to Croatia. In September 1995. the first Honorary Consulate of the Republic of Croatia in the United States was established in Minnesota. The office was located at Cortecâ€™s headquarters in White Bear Lake. Consulate worked to promote all aspects of Croatia, from travel and cultural activities to trade and investment opportunities. NORTH OAKS â€” Resident Boris Miksic has amassed millions from his White Bear Township business Cortec Corp.
Now, he said all he wants to do is give back to his country of Croatia â€” as its president. If he runs for the office in 2009, it wonâ€™t be the first time. The 60-year-old Zagreb native lost out to then-incumbent Stjepan (Stipe) Mesic in his first attempt in 2004/2005, in an election he says involved foul play. Exit polls and other reports leading up to the election had him coming in second, and because Mesic had less than 50 percent of the vote, Croatian law would have entered Miksic into a final two-person presidential runoff. But later polls showed him in third, and in the end he was two percentage points away from the runoff. One reason, he said, is that his opponents counted votes from people who had died but were never discounted. â€śI will be campaigning around cemeteries next time,â€ť he joked. There may or may not be a next time. He said he doesnâ€™t want to think about that decision for another six months, partly because heâ€™s worried about what he considers a corrupt system and an unfair game. â€śCorruption is the number one problem right now (in Croatia,)â€ť said Miksic, who has dual-citizenship. â€śI have difficulty with the electorate system over there. I don't think it is a fair place all the way up to the constitutional court. Sometimes, it feels like I'm spinning my wheels trying to overcome this unfair playing field. Miksic immigrated to the U.S. in 1974 with only $37 in his pocket. A few years later he founded Cortec out of his garage in Hugo; the manufacturer of anti-corrosion products now has offices across the globe and annual sales of about $50 million. But he never gave up his interest in the politics of his homeland, serving as honorary consul general (promoting trade between the U.S. and Croatia) in 1995 and running unsuccessfuly for the Croatian Parliament in 2003. 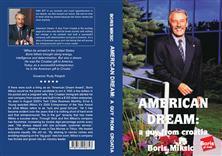 According to his 1996 biography â€śAmerican Dream: A Guy From Croatiaâ€ť (Cortec Corp.) the idea of running for president was planted in 1995 by his friend, former Minnesota governor Rudy Perpich. At first Miksic was skeptical of the idea because he was busy running Cortec, but almost 10 years later â€śthe idea took hold.â€ť In the fall of 2004 he returned to Croatia to conduct his first campaign. â€śThe motivation for me is very simple,â€ť Miksic said. â€śI have to go back to my roots and do something good. Since 2005 he has served on the Zagreb City Council, a board he considers â€śthe second most important parliament in Croatia.â€ť He spends about a week each month in Croatia taking care of related responsibilities. He said he has helped negotiate for several area projects in the city of about 685,500, including a new airport, a new major hospital on a scale with the Mayo Clinic and a new convention center which collectively cost about a billion euroes and will provide abuot 20,000 jobs. Still, he laments that he cannot influence things like foreign policy, exports and the countryâ€™s 12 percent unemployment rate. And he considers President Mesic to be incapable. â€śThe politicians over there are from Communist times,â€ť he said. If Miksic runs again in 2009, he said he would change a few things on his platform, including the fact that he was initially euro-skeptic, or opposed to the process of further European intergration. At this point, Croatia is on the verge of joining the European Union. He said heâ€™ll continue to act as an independent candidate in the middle of both leftists and rightists, working with them both. He wants to be a new face, a candidate free from corruption â€” since he already has money and the means to fund his own campaigning. He said his business and life experiences would likely help him once in office. If he opts to run, Miksic will have only about 30 days to convince Croatians to vote for him, as the countryâ€™s presidential candidates can publicly campaign for only a month before the actual election. After his 2004 loss, a large group of his supporters rallied in the streets of Zagreb in protest. Later, Miksic lost two appeals against his displacement in Croatiaâ€™s supreme court. Ivanica Schrunk, a University of St. Thomas history adjunct professor who is from Zagreb, recalls the 2004 campaign when Miksic originally wanted to bring change to Croatia. She said sheâ€™s unsure if Miksic could gain a big enough vote to win the Croatian presidency in 2009. She compared Croatiaâ€™s 2004 presidential race to the current Minnesota Senate race. Some sources say Miksic lost his second-place status in the election due to votes cast by Croatian citizens in neighboring Bosnia and Herzegovina. Schrunk said she doesnâ€™t feel Croatia is more corrupt politically than any other nation. What I remember most are his blue eyes, the color of Adriatic sea. His eyes were the most unbeleivable color of blue. My grandfather was many things to me...my first impresion of him was that he was a movie star. He had dashing good looks. I thaught he was an actor. But my father was a true family man. He was extremely loyal to my grandmother Nina, they were always together and always seemed like newlyweds. I admired this so much in my grandfather. He was also a true patriot. He loved his country Croatia so much. He was always speaking to me of Croatia has right for independence. I didn't have so much time with my grandfather. This is a heartache of being an immigrant. You always have to be apart from your loved ones. I remember my grandfather the last time I saw him. This is where I spent most time with him when I was little girl. It was in his fragrant garden, on his beloved island of Losinj with his most precious wife. I will always remember him there and this is where I am sure he is now-in peace. I love you my gradfather Dada. CortecÂ® Distributor Recognized by Local Paper!